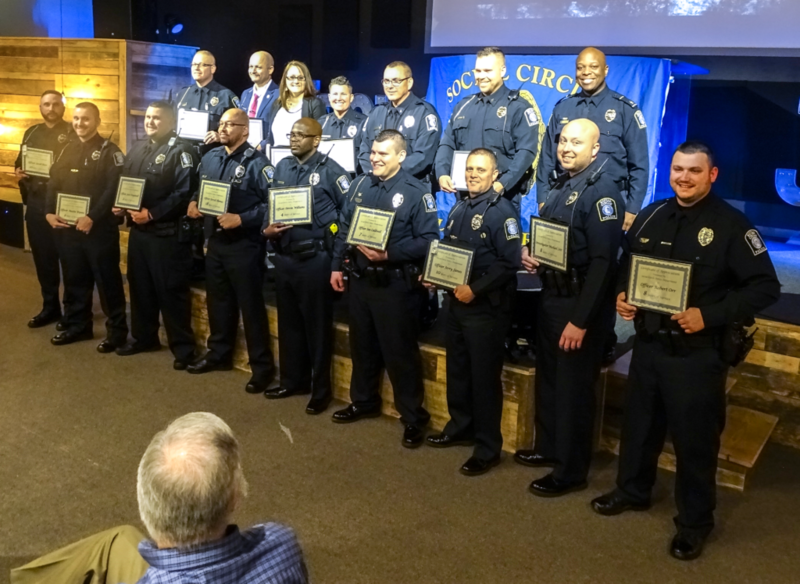 The Social Circle Police Department held their inaugural awards banquet, Tuesday, March 12 at Church at the Grove in Social Circle. The program featured the Social Circle High School JROTC presenting the colors, Ms. Olivia Adams singing the National Anthem, Pastor Dwayne Jones giving the invocation and Stephen Lundquist as guest speaker. Rookie of the Year: Austin Wynne. The Rookie of the Year award is presented to the person who has been P.O.S.T. 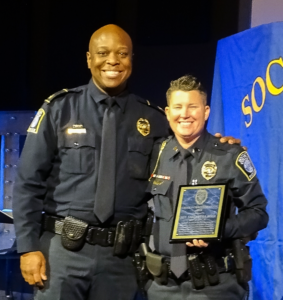 certified less than 2 and ½ years, who best exemplifies the qualities, characteristics and the effectiveness of a new officer and one who distinguishes himself by a great degree of meritorious service of achievement. Top Gun Award: Investigator Michael Jett. The Top Gun award is presented to the person with the highest cumulative score in at least 2 qualification rounds. Humanitarian Service Award: Investigator Bill Bowen. 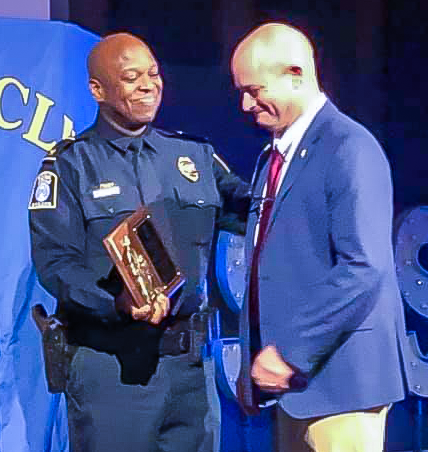 The Humanitarian Service Award is presented to the person who has made a positive impact in our community, who has promoted human welfare and reform, who has diligently pursued promoting humanistic values in one person’s life or in the lives of several people. 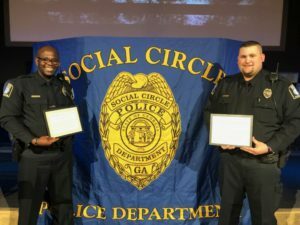 Meritorious Service Award: Officers Devin Williams and Jack Treadwell. The Meritorious Service Award is granted to any employee for an outstanding act where there was a threat of serious bodily injury. 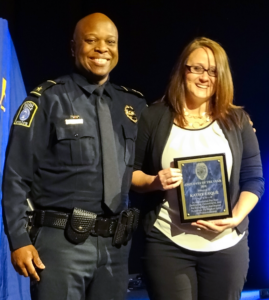 This award is also awarded for outstanding investigative performance or criminal apprehension. Medal of Valor: Sgt. Chad Hunt. The Medal of Valor is presented for acts of courage and strength of mind, in face of danger to protect life. 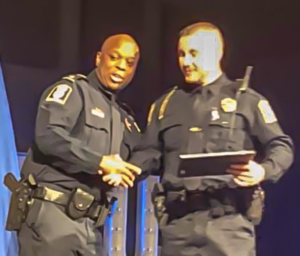 Chief’s Commendation Award: Sgt. Samantha Rose. 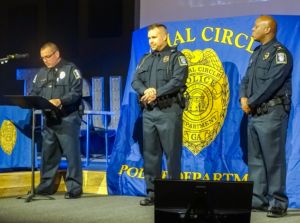 The Chief’s Commendation is granted to any employee for an outstanding act or achievement, which brings credit to the agency and involves performance above and beyond that which is required for the employee’s basic assignment. 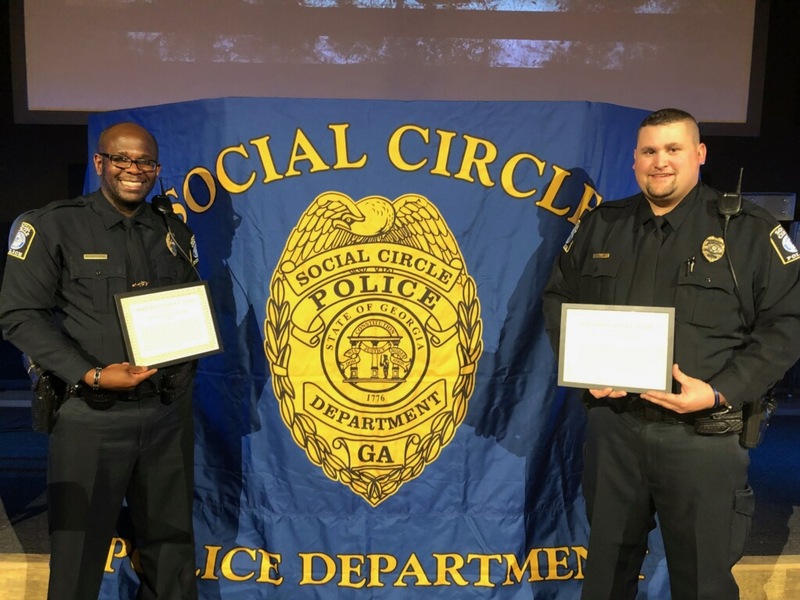 Performed above and beyond their normal call of duty in their service to the agency. 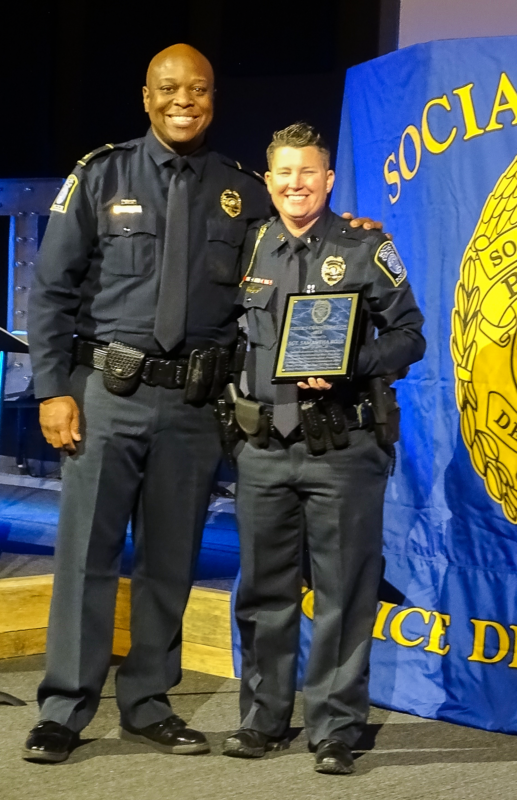 Earned the recognition of his/her superiors for outstanding service to the agency.